BuyReservations.com is committed to providing the best airport hotel options for BOS. Our airport hotels, which include parking and airport shuttle transfers, are a great alternative to airport parking*. We strive to get the most affordable rates at the most reliable hotels. Our Park Snooze and Fly package will make your travel experience seamless and convenient at Boston - Logan International Airport. *Unless otherwise noted, see Park Snooze and Fly Package Information below. 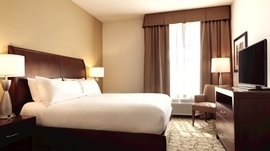 Our Park Snooze and Fly Package includes 2 weeks of free parking at the hotel near Boston - Logan International Airport while you're enjoying vacation and a one night's stay at Hilton Garden Inn Boston Logan Airport the night before your flight. Alternatively, we can provide hotel accommodations on the night of your return. Lastly, shuttle transfers will be provided to Boston - Logan International Airport when you depart and transfer you back to Hilton Garden Inn Boston Logan Airport upon your return so you may get your vehicle. If you have a late landing, staying the night of your return is also an option. You can take advantage of parking your car at the hotel prior to your flight and getting well rested at the hotel the night of your return. Our Park Snooze and Fly Packages are an excellent way to make airport parking convenient and affordable. The Hilton Garden Inn Boston Logan Airport allows late arrival check-in so you know your room will be ready even if you have a late landing. If you need more parking than the included free parking at the Hilton Garden Inn Boston Logan Airport, you may extend the parking duration for an additional fee of (10.00 Per Additional Day) paid to the hotel. Cancellation policy is 6pm (hotel time) day prior to arrival for full refund. For full details on our Cancellation Policy, please view our Policies Page. 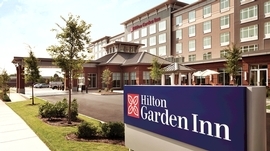 Like Hiltons, Hilton Garden Inns clearly invest in the satisfaction of customers, as seen in the quality of service and variety of amenities at each and every location. They are limited-service, and have restaurants on property for breakfast, and many restaurants are open for lunch and dinner. Lounges are present as well. 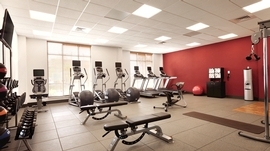 Amenities include complimentary Wi-Fi and 24/7 business centers, fitness centers, room service, and Pavilion Pantry(R) convenience minimarts. Most locations include swimming pools and whirlpools. This brand provides nice rooms, cozy beds, and high-definition flat-screen TVs, microwaves, and refrigerators for the convenience of guests. 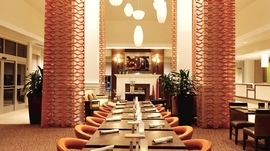 Hilton Garden Inns aim highly to please all varieties of travelers. Make your stay at the Hilton Garden Inn and see what this highly respected hotel has to offer! Click here to see all of our Hilton Garden Inn hotels which we offer in alternate cities. Parking Attributes: Parking Lot (Open), Patrolled, Security Cameras, Unsecured Parking is provided for one car per room. Crib - Yes - Crib not permitted in a room with two beds. Microwave - Yes - and Keurig in room. BuyReservations has a 4.8 star rating with 24,270 reviews.